Did you know you can backup iPhone text messages each time you connect the device to a computer? It’s true, creating a backup is as simple as syncing an iPhone with iTunes or other software. During this process, an automatic backup of the text messages stored in an iPhone is created and then stored in a cloud or on a hard drive. The key is to find the backup data to store the information in a safe and easily accessible place. Though the backup process can vary slightly depending upon the model of the phone and the operating system in use, the basics remain the same. Step 1: The first thing to do is to ensure the backup is set to store data on the personal computer rather than iCloud. Use the USB cable that came with the iPhone to connect the device to the computer. This action will initiate an automatic syncing process via iTunes. Within iTunes, the user can choose to automatically back up the iPhone to iCloud or the computer. Select the radio button next to the option titled “This computer.” Then click the Sync button in the bottom right corner of the screen or the Back Up Now button off to the right. This will back up all text messages currently housed on the iPhone. Step 2: To locate the saved text messages, it is necessary to find the backup file on the computer. The path to this data will vary according to the operating system. Typical paths are listed below. Step 3: From the appropriate path, select the file with the extension .mdbackup or .mddata and a long title of numbers and letters. The most recently modified file will contain the text messages stored in the backup. Step 4: Copy the file and store it in an easily accessible folder such as one created on the desktop. To read the files, it will be necessary to export the messages from their SMS format into Excel, html or pdf. The files found in iTunes are limited in the data saved and complex to locate. As such, investing in software aimed to create a direct backup is a viable option for many iPhone users. These programs create different backups for the data stored on the phone and translate the data into a readable file. A number of these programs can also work in tandem with iTunes. The use of a software program ensures backup copies are made throughout regular intervals instead of having only the data from the last sync available. Remember, a backup is only as good as the last time it was created. With software, a lost phone or accidental delete no longer means the loss of precious data like text messages. 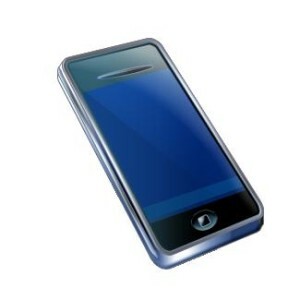 It is easy to backup iPhone text messages with just a few simple steps.